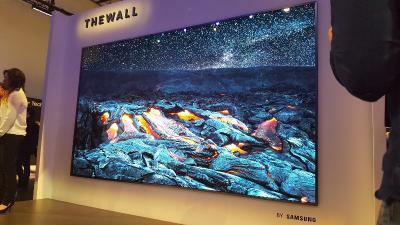 Following Samsung's unveiling of its 146" Micro-LED TV prototype, LG Display's CEO said in early 2018 that the company is also developing large-area Micro-LED technologies. According to Business Korea, LG Display aims to unveil its first Micro-LED TV in September (based on LG Innotek's Micro-LEDs). LGD's TV will be larger than Samsung's 146" Wall.